Tattoo removal is a rapidly growing industry. As the popularity of tattoos increases so does the amount of regretted pieces. There are many reasons people seek removal. Perhaps they no longer like the placement, the coloring, the style, or the size. Whatever it is, laser tattoo removal allows people to regain control over the way their skin looks. It really is the next big thing in the cosmetic industry! However, because the practice involves targeting ink beneath the skin with a highly concentrated laser beam, laser specialists have to go through training to be properly qualified. However, how does someone break into this industry? Here are the top 3 ways to choose the best tattoo removal training school. If you quickly google search for tattoo removal schools in your area, you could spend hours scrolling through different courses and programs. However, how do you know you are really getting the most value for your money? The first thing to confirm before you enroll in any school or online program is that you are receiving the proper qualifications. Not all tattoo removal schools are honest and upfront with students about what they need in order to qualify for insurance after graduation. And not all these schools offer the necessary knowledge and training to be considered insurable. Don’t waste your money and your time in completing a program that won’t actually allow you to safely work in the industry. Make sure you ask a lot of questions before agreeing to anything. As the industry continues to expand, so do your educational options. 2. Is the school properly insured? There is no better way of learning how to properly operate and control a tattoo removal laser than using it on a live model. 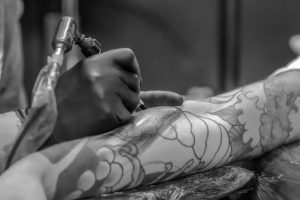 In fact, the best tattoo removal schools will require you to practice on several live models who are in different stages of the removal process. However, because you are learning the ropes on real people, you must be certain that your school is properly insured under a reputable insurance company. Yes, that’s right. Insurance doesn’t just impact you after graduating! The insurance company needs to be ready to fight a claim, should you have one, on your behalf while you are a student, and also needs to approve all of the courses the school offers. 3. What do the schools offer? As the tattoo removal industry grows, more and more tattoo removal schools are opening their doors to an influx of eager students. This gives you a lot of options, but it also makes you susceptible to more and more scams. Be wary of schools that offer training in under a day or in just a few hours, especially if you can’t practice with a laser! You also want to ensure that the program you are in informs you on handling consultations, difficult clients, and what red flags to watch for. If you ever feel rushed during training, then you might not be receiving the attention you need. Remember, it’s critical that your trainer makes you feel comfortable to ask questions and seek even more knowledge because there is so much to learn about different lasers and the best practice!